The most common brand for acrylic available in Cebu is Monaco, and Familia (not related to the local craft shop Cebu Familia) but Monaco has the most colors. For the mercerized cotton thread, it’s also Monaco. But you can also find some imported brands Cannon, Anchor, and Aunt Lydia’s in some craft stores. I started with acrylic because they’re worsted (thick) so they’re easier to handle for a beginner. I did not know about the specifics of yarns when I started so I just use the acrylic to all sorts of crochet projects I would like to make: from wearables, bags, to amigurumi (term for plushies). Modern Best Modiste. If I wanted to buy yarns in bulk, I would go straight to this store. They offer discount if you buy in dozen. Based on my experience, they offer the lowest price for Monaco yarns and mercerized cotton thread. Plus, it’s not that crowded compared to the popular ones: Familia House and Cebu Fashion. Being not so crowded is the reason why I really like this place. The last time I was there, prices were P10 for the Monaco Acrylic if you buy in dozen. They are also the only store that offers the Monaco Acrylic in 3-ply and 4-ply. The other stores usually only carry the 3-ply. The mercerized cotton thread is at P30 a piece (I forgot how much is the discount if you get it by the dozen.). They also have Monaco 4-ply undyed cotton thread in cone but it’s not in display so you have to ask the staff. They also carry Familia yarns, and Mayflower. Mayflower is a polyester yarn. I bought a few but I haven’t made a project out of it. I’m wondering if they’d be a better yarn for swimwear. So if you’re allowed to visit only one yarn supplier in Cebu, I suggest you go straight to Modern Best Modiste. 2. 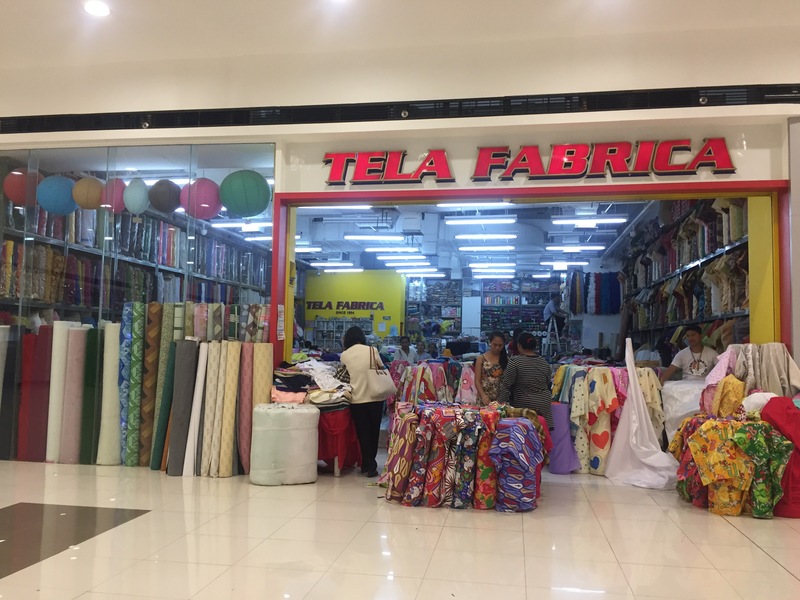 Tela Fabrica in SM Consolacion. It does not have really that much but it’s the nearest yarn supplier to me so it’s my default go-to. It carries the Monaco brand yarns and thread, a few colors of Cannon threads. They have an occasional supply of Red Heart Super saver. It is also the 2nd store in Cebu where I found Susan Bates crochet hooks (I will have another post about crochet hooks), which are perfect for beginners. Location: SM City Consolacion, Cebu. So basically, I only have 2 go-to yarn stores in Cebu. And, I’m so thankful that there are a very limited yarn suppliers in Cebu or else I’d be forever broke. The rest, I’m getting them from online and facebook sellers. For online sellers of yarns in Philippines, I will have that in another post because that’s quite a long story to be told. If you’re feeling adventurous, you can check the following stores in Cebu that sell crochet / knitting yarns. When I say Colon area of Cebu, I don’t really mean Colon Street. I’m referring to the downtown area. Note that most of these stores closes on lunch break. Cebu Fashion. The few crocheters in Cebu I met, this is their top go-to store. They really seem to have more inventory of yarns and threads. But Modern Best Modiste just have a more organized display of yarns. Location: It’s in the same street of Modern Best Modiste. Prime Basics, Fashion Accessories Center. They carry the Monaco brand, and they offer at the same price of Modern Best Modiste. So if I could not find some particular colors of yarn in Modern Best Modiste, I will try my luck here. Location: It’s near the Modern Best Modiste, but on the Magallanes Street side. Cebu Familia House. No. They do not own the brand Familia yarns. Cebu Familia House is the most popular store for your sewing supplies so crochet and knitting yarns and notions are not really on their very top priority products. But it’s worth visiting for their other crafting items. Familia House is a household name in Cebu so they can really be crowded. Location: It’s just a few stores away from Super Metro Colon but on the USJR side. The other popular store beside it is the Cebu Progress store. Country Crafts. This is probably the only store for arts and crafts of Cebu. I mostly come here for the crochet hooks. And, they’re probably the only store I know who sells knitting hooks. I think they’re top craft supplies is for cross stitch so the crochet and knitting yarns and other related items is not that many. Sometimes, you can chance upon “imported” brands of yarns. The best time to go to this store is if you want to buy bigger sizes hooks. Aside from Tela Fabrica, they’re the only store which sold crochet hooks in bigger sizes, the Susan Bates and that other generic double-ended hook, which I really like too. Look at the bottom, the biggest Red Heart I’ve ever seen. Curtains & Trims. It’s mainly a fabric store. But they carry quite a lot of yarns, though on the pricey side because they’re inside the mall but just think of the convenience. They have the biggest local Red Heart display in Cebu that I came across. They also carry the Monaco acrylic and mercerized cotton threads. They also have the Cannon mercerized cotton thread. They also have a big inventory of cross-stitch threads. In their fabrics department, they used to have a big display of local Red Heart acrylic yarns. But the last time I was there, it looked like they no longer restock. If you’re in Ayala Mall, you can go to the Metro department store. It’s in their fabrics section. There’s the usual Monaco acrylic and mercerized cotton threads but not that much color variation. Among the mall stores, they have the lowest price. Believe it or not this post was actually how I found you. My husband of all people sent me a link to this page. Cheers! Previous Previous post: Yoda ka ba?